I’ve specialised in lead generation for 25 years now. Sometimes as a front line account manager. Sometimes as a business owner. And, you know, I hate cold calling. Love talking to people about their challenges and helping them solve business problems. So, I’ve made it my business to effectively generate leads without cold calling, and this is what I found out. Customer surveys come in many shapes and sizes but customer feedback question mistakes tend to be the same and repeat time and time again. 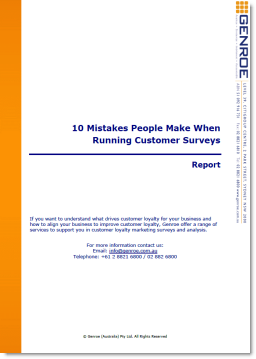 These mistakes reduce the effectiveness of the feedback survey itself, waste your time and the customer’s. While there is no direct LinkedIn to HubSpot integration, there are a couple of tools that do allow you to quickly and easily copy data from LinkedIn to your HubSpot CRM database, saving time and frustration. As an inbound marketer there is nothing quite as frustrating as creating great content, that is read by potential customers, but on which they don’t act: no download, no contact form, nothing. This is an unfortunate fact of life as the large proportion of readers will not take action on any specific blog post. However, there is a nice HubSpot CRM Prospects feature that can help you turn even those non-downloaders into leads. Here’s the process we use. HubSpot Prospects catches the leads your content misses! Not everything HubSpot does is perfect and their naming of the Prospects tool is one of those imperfect items I’d like them to change. You see, Prospects isn’t really a list of Prospects, per se, it’s a list of company domains that have visited your site.